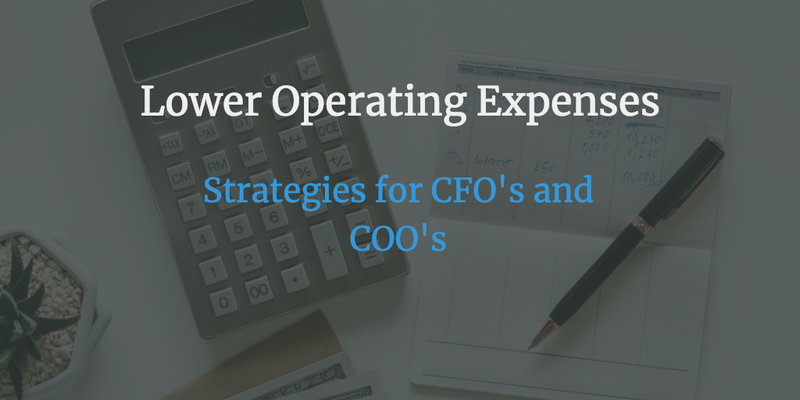 Lowering operating costs shouldn’t only be CFO’s (Chief Financial officer) job. Unfortunately, in most companies, that turns out to be CFO’s main priority given the corporate mandate. But for the savings to stick, CFO’s need to have cost reduction as a repeatable and sustainable process. We urge CFO’s to view cost reduction and especially operating costs, as a strategic initiative with long-term goals in mind. This article is not about quick wins, this is about implementing a sustainable long-term strategy for lowering operating costs. Lowering operating cost is not the only focus of CFO. Today’s CFO is focused not just on lowering the operating cost but also increasing the revenue and enabling the innovation in the company. Best in class CFO’s are apt at balancing the need for growth with cost-cutting. Here is a snapshot of a recent Deloitte CFO sentiment survey. As you can see there is a pretty even split between CFO’s who are adopting an offensive strategy (growth) vs cost-cutting strategies. Cost reduction vs revenue growth is also closely linked to the boom and bust cycle of the economy. In the growth cycle, cost reduction takes a back seat and in the burst cycle, it comes back more aggressively. The goal of this post is not to state the obvious that CFO’s need to balance growth with responsible spending. The goal is to help CFO’s think through the world of procurement and how CFO’s can implement a long-term strategy for lowering the operating costs. That can be achieved with the help of careful analysis of the spend and the opportunities available for cost reduction. The discussion about lowering cost happens at least once a year in every company and yes that is during the budgeting cycle. CFO’s and the executive team are building the plan for next year and if the next year EBITDA goals are not reached, they look at cost-cutting initiatives including layoffs and other cost reduction opportunities. But does it not impact other performance metrics like revenue growth? We would like to present an alternative option here, rather than looking at cost reduction opportunities, CFO’s should be continuously evaluating their cost metrics and how they are compared with the industry. 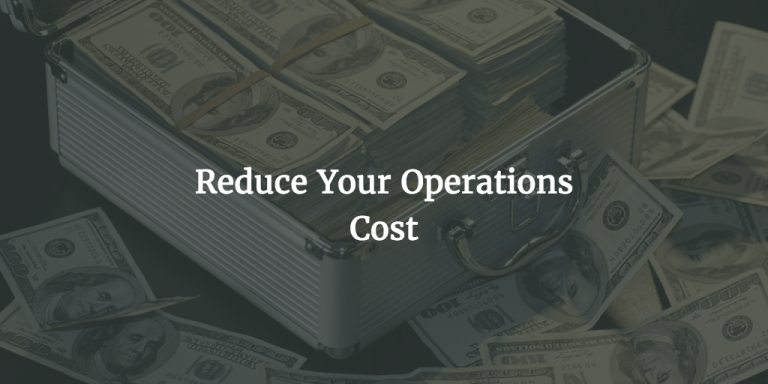 Strategic cost reduction is not only CFO’s job, but it is also more of a culture which the entire company needs to follow to achieve results. For example, Walmart is known for the lowest price possible. Granted their buyers are known for squeezing the best deal possible from their suppliers but you can see the cost consciousness in everything they do. This cost-conscious culture can not just be achieved by CFO’s alone. CFO not only need to enable themselves with better data but they need to also make the information available to other stakeholders so that they can take better decisions. 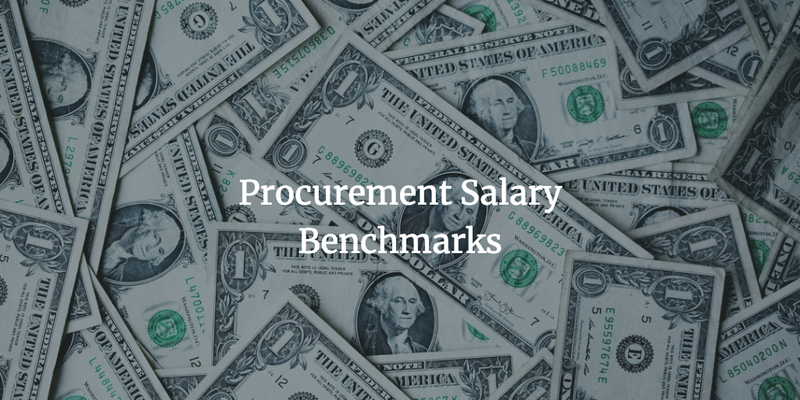 We are focussed on procurement so most of our suggestions are biased towards the role of procurement and how the procurement function can help reduce the operating cost. I know what you are thinking, it is easier said than done. Rather than basing budget based on the last year forecast, you are asking each budget owner to justify the budget items and whether they are still required. It is definitely a culture change but there is significant evidence that ZBB can help a company achieve competitive advantage by reducing waste and freeing up capital which can then be invested in future growth. The biggest benefit of ZBB is that provides you with a cost reduction strategy which is sustainable. 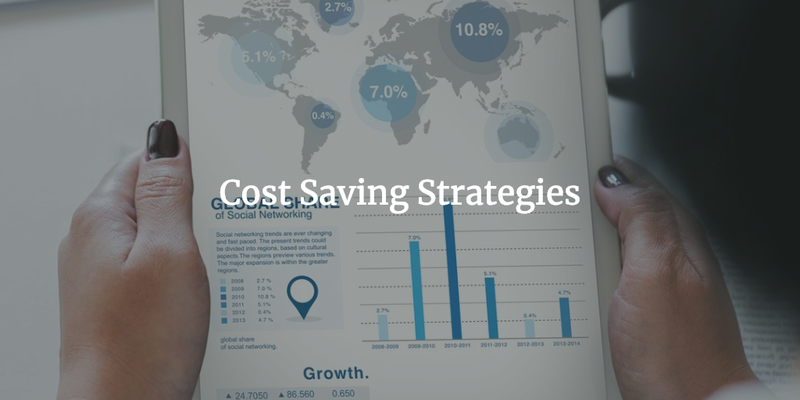 What is a sustainable cost savings strategy? Let’s look at a typical example of a top-down approach for budgeting. You take the revenue forecast and the EBITDA goals and try to get to a number. If there is a gap, you look at either increasing pricing to increase revenue and give a target to individual budget owners to reduce the operating expense by a certain percentage. What happens here is that you do get to the number on paper but when you see a surprise revenue growth, those costs come back. Rather if you are investing time in understanding the cost drivers each year and adjust it based on the changing business needs, then that would drive a more sustainable cost savings strategy. That ensures that those costs down come back when times are good. Is ZBB adopted across companies? As per the same study, companies who have adopted zero cost budgeting achieve more than 15% cost savings as compared to other cost measures. G&A– It is not surprising that General and administrative expenses are highly scrutinized area and hence a prime candidate for zero cost budgeting. 92% of the companies have adopted zero cost budgeting in this area. Sales and marketing- It is interesting that 52% of the organizations scrutinize sales and marketing spend. Marketing budgets are generally built ground up because your campaigns might change or your marketing channels might change from one year to the other. Sales expenses are usually based on customer acquisition metrics, so it is interesting that companies are evaluating their sales costs every year. Direct and indirect labor – This is a prime candidate so no surprises there. Logistics and COGS – Currently 42% of companies are using ZBB in this area but we feel that more companies should be using ZBB in this area. The reason being is that you can look at how to free up your capital by looking at initiatives like vendor managed inventory. From COGS (Cost of Goods Sold) standpoint, this affords you the opportunity to look at alternative products. • Limited adoption because of the amount of work required to build the budget by analyzing your expenses. It is much easier to look at the last year forecast and adjust it to meet the EBITDA targets. • It needs discipline and cultural change. Implementing ZBB means you need to have all the data at your fingertips to make effective decisions. • Some argue that it promotes short-term thinking by focusing only on the next year. We think this can be overcome by ensuring that the organization has clearly defined long-term goals. For example, if employee development is a long-term goal, then each department must Spend some amount on training employees. In the initial years of any company, the expenses are tightly controlled because the founder is probably bootstrapping the company or the company is small enough that the owners of the company can personally review those expenses. What happens when the company starts growing? The cost control mechanism can’t scale when the company is growing and of course the founders can’t be approving each and every expense. Moreover, if you are growing across multiple locations, then that problem is multiplied because each location might have it’s own processes and norms. Hence it is critical that CFO’s are thinking about implementing a cost control mechanism from day one. Let’s look what it entails. A well-defined purchasing policy helps you provide a structure for your organization on how to purchase product and services. • Implement a standard process for purchasing product and services. • Centralize the purchasing function, so that a single department is looking at aggregating the spend with fewer vendors and achieve cost savings. • Provide guidelines to on how your employees on how they should engage with internal and external stakeholders which include suppliers. • Define what is acceptable behavior and what is not acceptable. • Clearly identify what employees can purchase and what they can’t. It is amazing what some employees consider as reasonable expenses. We will not labor on this point, but if you want to learn more about this topic, we have covered this in how to define a purchasing policy post. • It provides standard guidelines for employees for what is considered reimbursable and what is considered not a reimbursable expense. • It provides some quick wins by ensuring that people are not submitting non-reimbursable expenses. • It reduces cost. For example, by asking your employees to book a flight 2 weeks in advance and booking the lowest logical fare, Companies can easily save 4-5% on airline cost. Similarly, providing a max hotel rate for each city can help you keep your hotel cost in check. • It helps you to prevent fraud. • You can control spend limits for credit cards in case of corporate credit cards. 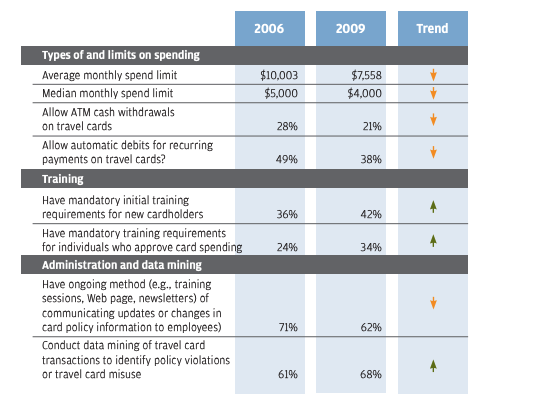 The example below talks about how companies can curtail spending by reducing the credit card limits. As per this report, companies in 2009 significantly reduce the credit limits to control spending. The other benefit of the policy is the ability to get consistent data due to the policy guidelines. Once you have the data, you can then mine it not only to identify policy violations but to also find opportunities to reduce cost by negotiating better rates with travel partners. For example hotels. We have covered Travel and Expense policy in another blog post. The next step in lowering operating cost is to implement a strategic cost control mechanism by authorizing purchasing approvals at the optimum level. • Some projects might not get kicked off on time which leads to unutilized budgets. • Your business priorities could change and you might want to reallocate capital to revenue generation activities rather than focusing on improving productivity. • Your revenues can take a turn for the negative and you need to control cost. No matter whatever the reason, spend authorization at the right level can help you evaluate whether the spend is still necessary or can this be avoided. Corporate credit cards though efficient could be a source of fraud or unauthorized expenses. Even though expense reports are approved by management, the spend has already happened. As you can see above, for mid-market companies, 17% of spend on corporate cards is non-travel related. This spend ideally should not be on corporate cards or at-least should have been authorized before the spend actually happened. • Make sure that you are locking down the credit cards so that they can only be used for travel-related spend. • Cash advances should be restricted or should be restricted for the whole program. • It allows you to keep lower limits on the cards and helps you prevent any fraud related to credit card spend. 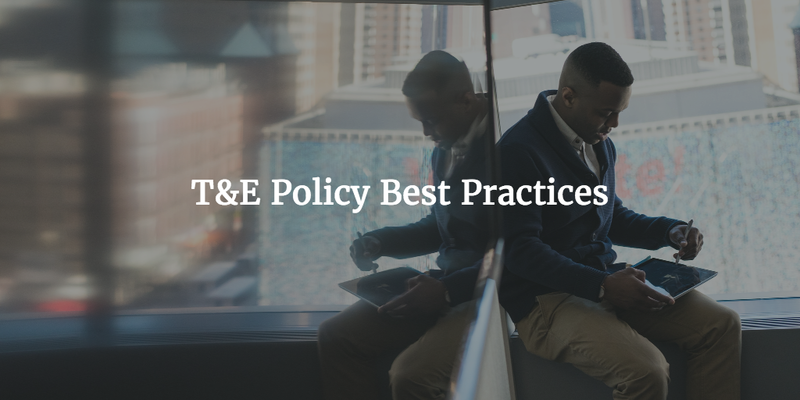 Even if you don’t have a corporate credit card program, ensure that you have a well-defined travel policy which clearly defines non-reimbursable expenses for employees. The experiment was conducted in a factory setting where the productivity difference was measured by changing the lighting on the production floor. The productivity went up with better lighting but the strange part was that the productivity didn’t drop even when the light was dim. What the researchers concluded that productivity went up because the workers were being watched. How this is applicable to operating cost reduction? The best in class companies achieve more savings because they have better visibility into the spend. The following analysis from Ardent partners talks about the difference between Best in class companies and all others. Having a system to automate the purchasing process not only improves productivity but provides better visibility to the management team. Let’s say you are a CFO tasked with reducing operating cost. The typical process would be for the finance team to work with individual operational team leads to come up with the budget. What that leads to is a budget built on last year forecast and you are relying on the assumptions made by the team while building that budget. Wouldn’t it be great if you could pull up a Spend dashboard, see how the spend has been trending across major vendors, see details at the line item level and then ask specific questions to understand whether that spend is still required? That is the power of spend visibility and the opportunity it affords to ask the right questions during decision making. Similarly, enhanced spend visibility can help your team identify opportunities for savings. In some cases, it can also help you identify if you are able to realize the negotiated savings. Negotiating a contract is one thing, ensuring that is used for purchases all the time is difficult. Especially, when you are trying to manually enforce purchasing compliance. • How often do you review the expenses with the budget owner? 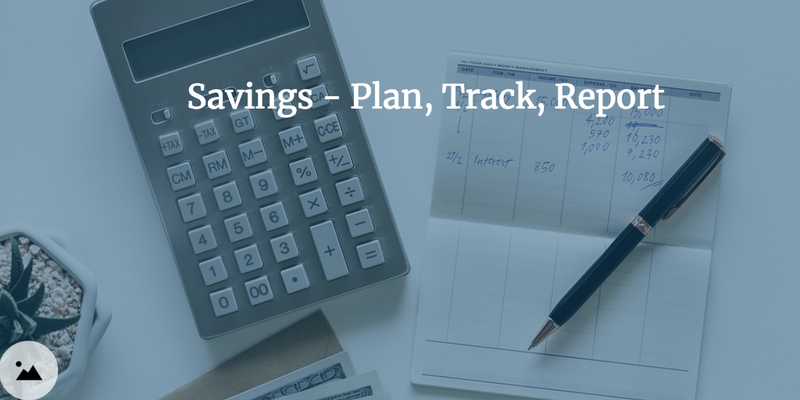 • Have you considered opening up expense reporting to the budget owners so that they can see where their team is expensing the most? • Have you considered opening up a global Expense dashboard where all budget owners can see what the company spend on travel and expenses? • Is there a way to relate the spend with the business outcome? You should be asking these questions to understand if enhancing the spend visibility would drive a more responsible spend culture within your organization. At the end of the day, it is all about transparency and accountability. We talked about measures you can take to control cost. But long term cost reduction also needs another key ingredient. We are not suggesting that build a culture where reducing expenses to meet the EBITDA targets is of paramount importance. In fact, we are suggesting the opposite. We are suggesting that you create a culture where employees are spending money wisely and there is accountability for Spend. The end goal of this exercise is to generate free cash flow which can then be used to fund future revenue growth for the company. First and foremost, it is critical to have granular visibility into spend so that companies can effectively understand where they are spending money. Chart of accounts is good for high-level visibility but most of the times the chart of accounts are high level and doesn’t provide detailed visibility you need to take decisions to reduce cost. And once you have detailed spend visibility, you can look at that all the spend areas for cost reduction. As you can see, then when you have detailed visibility you can influence 20- 40-% additional spend which you initially thought could not be addressed. Our experience has been that companies look at Spend in silos, for example, controller or VP of finance is generally reviewing expenses, external vendor spend is managed by budget owners, employee-related benefits spend is managed by HR. If you put all this spend together and have a good understanding of each spend line, you would be able to come up with a better and comprehensive strategy for cost reduction. When you look at consolidated spend, you might find opportunities to re-allocate spend to areas which can help you drive revenue growth. So you have better visibility into spend, who should have access to this data? We recommend you start with finance and procurement. They should be first aligned on the spend categories, what the spend is and where the opportunities for cost reduction are. 1. 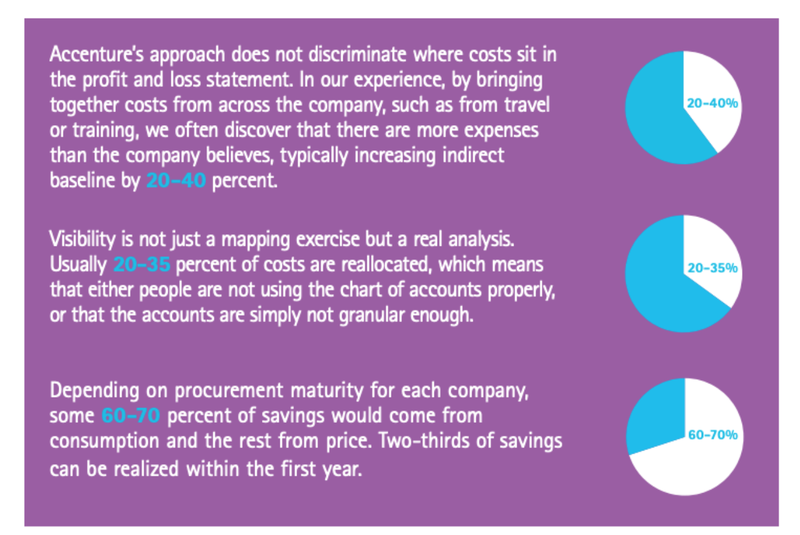 Procurement can help you identify opportunities for cost savings through spend analysis. 2. Once the procurement cost savings are negotiated, the finance team can easily book those savings. Once that alignment is done, you should open the spend dashboard to budget owners so that they can understand the cost required to generate the revenue or support the operations. Having transparency across the board helps your organization to be more cost-conscious. Some might argue that you don’t want everyone to see organization Spend data, which might be true in certain cases. But if you have nothing to hide, radical transparency is a way to build a cost-conscious culture. Following is a snapshot of a survey done by PWC asking 100’s of CFO’s to identify their top priorities for the next 3 years. The priorities might change based on the size of the company. But as you can see the top 3 priorities includes growth and cash management. 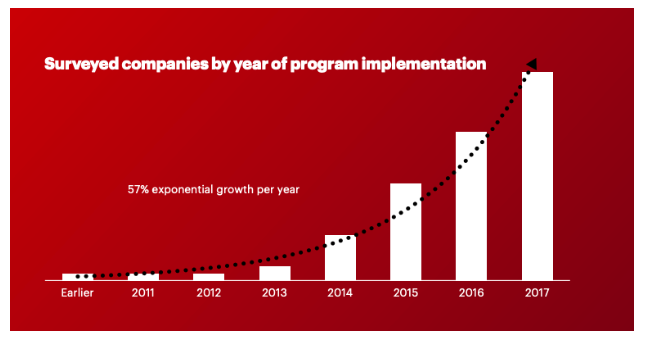 You can also see that as the company size grows, the focus shifts on performance management. If you look at cash management it is a top priority for small to medium size companies but then it drops for large companies. How you can do the same? Focus on driving shared accountability and responsibility for cash management. Many companies build a culture of reducing Opex at the expense of capital investment. We are not suggesting that there is anything wrong with that but you would be able to drive better results if the company is focussed on cash flow and not just on reducing Opex to increase EBITDA at the cost of irrational capital spending. For that to happen, CFO’s needs to explain the value of cash management to different budget owners. You need to provide tools which increase transparency into expenses. That would drive accountability for spend because now budget owners have visibility to spend at all times and not just at the time of budget planning for next year. Then you need to shift the accountability of cost reduction to each budget owner. 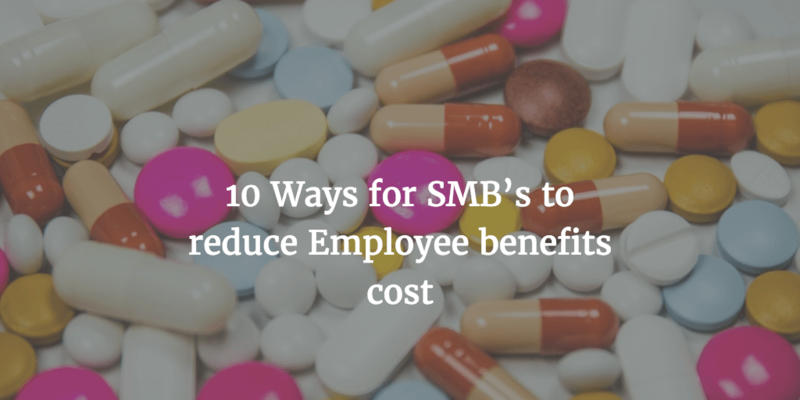 For example, HR is driving a cost reduction target of reducing benefits cost by 10%. We have touched upon many topics so let’s put together in a single model which your organization can leverage for building a cost-conscious culture. 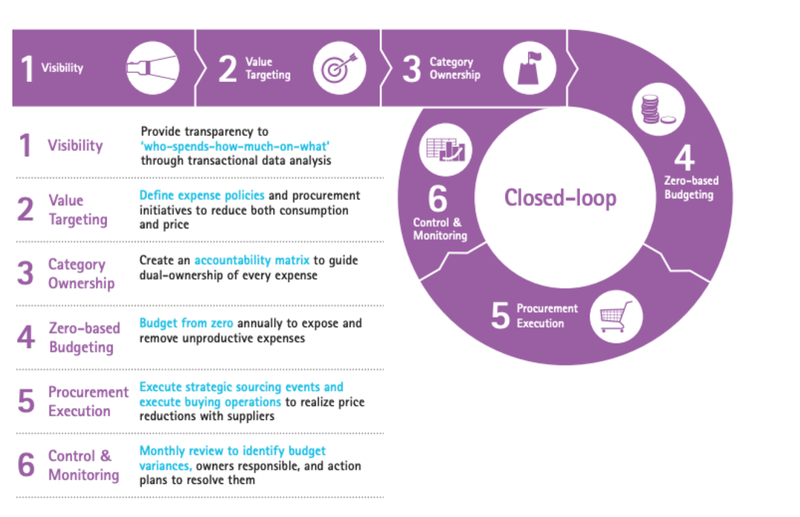 Accenture has a very good model, they call it a closed loop model which puts together all the points we have discussed so far. As you can see in the above diagram, it all starts with first understanding the spend. 1. Get better visibility into Spend by analyzing your spend data. 2. Use that data to setup basic spend control mechanisms like a purchasing policy and travel and expense policy. 3. 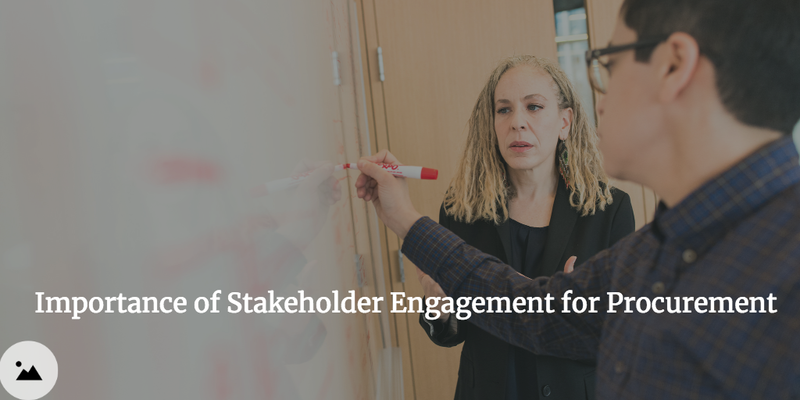 Drive accountability for spend reduction by assigning stakeholders. For example, procurement can’t reduce the cost if the stakeholders are not involved or supportive of the cost reduction efforts. More than cost control, you want to ensure that the capital is being utilized in the best possible way. 4. Adopt zero-based budgeting because that would force a deeper analysis of the each and every Spend bucket and the optimal capital allocation to each spend bucket. 5. Reduce cost through procurement execution by executing more sourcing events. 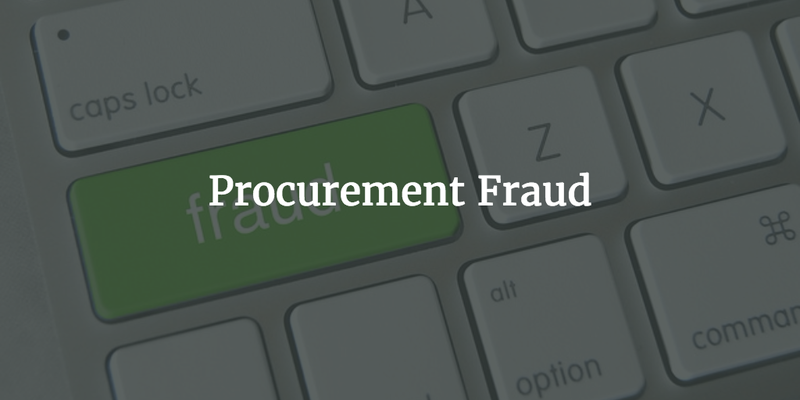 Build a strong procurement team, if you don’t have one already. 6. Have strong spend controls and also have better monitoring of spend. Having a good purchasing system can not only help drive automated spend controls but also helps in increasing spend visibility. Lowering operating cost is important for any company so that a company can increase its cash flow which can then be invested in growth. But the responsibility of reducing cost should not sit with the CFO only. CFO’s can reduce spend and increase cash flow if the whole organization is aligned with the cost reduction goals. That means CFO’s need to approach cost reduction as a cultural change effort rather than an analytical effort to analyze spend and give directives on cost reduction. A long term cost reduction strategy needs an organization which has a cost-conscious culture.